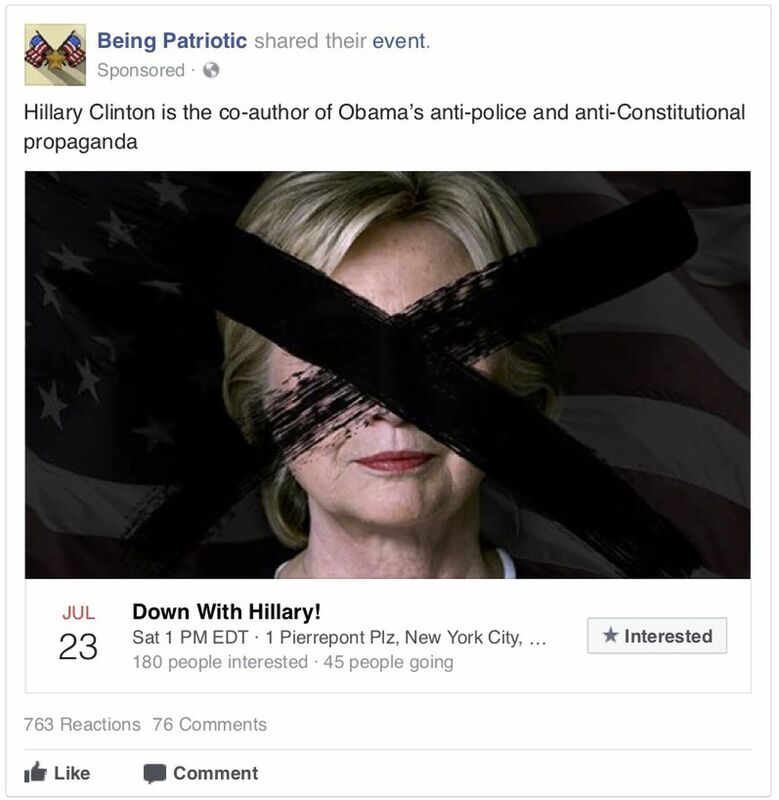 WASHINGTON – Democrats on the House Intelligence Committee on Thursday released about 3,400 Facebook ads purchased by Russian agents around the 2016 presidential election on issues from immigration to gun control, a reminder of the complexity of the manipulation that Facebook is trying to contain ahead of the midterm elections. The ads, which span from mid-2015 to mid-2017, illustrate the extent to which Kremlin-aligned forces sought to stoke social, cultural and political unrest on one of the Web's most powerful platforms. With the help of Facebook's targeting tools, Russia's online army reached at least 146 million people on Facebook and Instagram, its photo-sharing service, with ads and other posts, including events promoting protests around the country. The release of the ads comes months after top executives from Facebook, Google and Twitter testified at a trio of congressional hearings about Russia's propaganda efforts, a campaign waged by the Kremlin-sponsored Internet Research Agency, or IRA. Those companies since have pledged to vet political ads more aggressively, and Facebook in particular has said it would begin labeling ads about political candidates as well as some hot-button political issues. In the meantime, Rep. Adam Schiff, Calif., the top Democrat on the House Intelligence Committee, said lawmakers would continue probing Russia's online disinformation efforts. In February, Robert S. Mueller III, the special counsel investigating Russia and the 2016 election, indicted individuals tied to the IRA for trying to interfere in the presidential race. "They sought to harness Americans' very real frustrations and anger over sensitive political matters in order to influence American thinking, voting and behavior," Schiff said in a statement. "The only way we can begin to inoculate ourselves against a future attack is to see first-hand the types of messages, themes and imagery the Russians used to divide us." In total, ads purchased by agents tied to the Kremlin-backed IRA reached about 10 million U.S. users around the 2016 presidential election, according to Facebook's own estimates. But the ads are only part of the story: They sought to hook American voters into clicking "Like" or following Russia-created Facebook profiles and pages, which published organic content, like status updates, videos and other posts, which would later appear in users' News Feeds. Facebook previously estimated that Russia-tied profiles and pages generated 80,000 pieces of organic content around the 2016 election – either directly in their news feeds or because their friends had shared it. Another 20 million saw IRA-generated content on Instagram. House lawmakers did not make organic posts on Facebook or Instagram available Thursday. In many cases, the Kremlin-tied ads took multiple sides of the same issue. Accounts like United Muslims of America urged viewers in New York in March 2016 to "stop Islamophobia and the fear of Muslims." That same account, days later, crafted an open letter in another ad that accused Clinton of failing to support Muslims before the election. 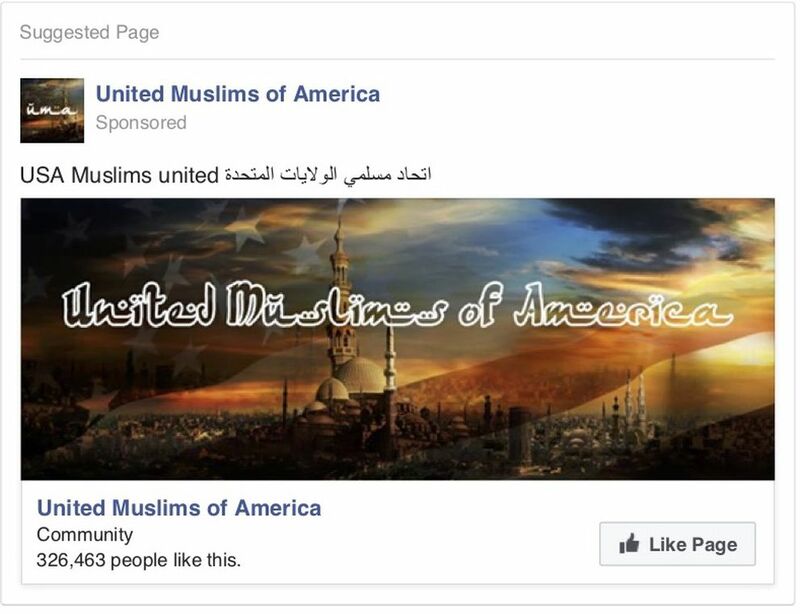 And other accounts linked to the IRA sought to target Muslims: One ad highlighted by the House Intelligence Committee called President Barack Obama a "traitor" who had acted as a "pawn in the hands of Arabian Sheikhs." For two years, Russian agents proffered similar ads around issues like racism and causes like Black Lives Matter. They relied on Facebook features to target specific categories of users. An IRA-backed account on Instagram aimed a January 2016 ad about "white supremacy" specifically to those whose interests included HuffPost's "black voices" section. 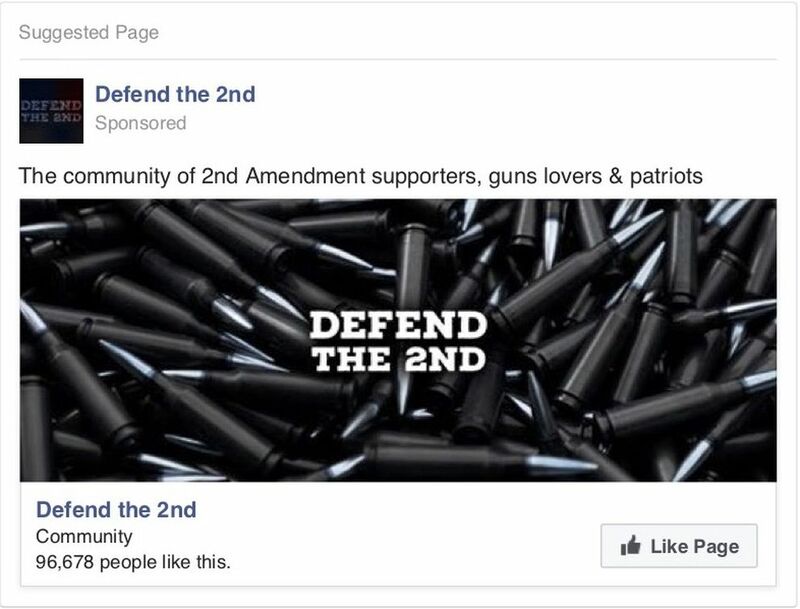 At times, Russian agents also sought to influence Facebook users' offline activities: One ad from the IRA-aligned page Black Matters promoted a March 26, 2016, rally against "confederate heritage," which had 161 people saying they would attend. Another by Heart of Texas urged viewers to "honor your ancestors" and join a rally for the state to secede – a post that had been shared 266 times before Facebook removed Russian-generated content. On Instagram, one of the IRA's ads in February 2016 sought to target people believed to be police officers, firefighters and military officers, urging them to appear at a protest of Beyoncé outside of NFL headquarters. At the same time, another account — targeting black users — directed viewers to a pro-Beyoncé protest at the same location. Neither effort appeared to gain any traction, according to data supplied by the social giant to Democratic lawmakers. But it offered just one example of the extent to which Russian trolls sought to exploit both sides of major national debates – including football players who knelt during the national anthem to bring attention to issues of racism. The documents released Thursday also reflect that Russian agents continued advertising on Facebook well after the presidential election. Until August 2017, Russian-aligned pages and profiles advertised their opposition to immigrants, targeting a range of users, including those who appear to like Fox News. They marketed a page called Born Liberal to likely supporters of Sen. Bernie Sanders, I-Vt., the data show, an ad that had more than 49,000 impressions into 2017. Together, the ads affirmed the fears of some lawmakers, including Republicans, that Russian agents have continued to try to influence U.S. politics even after the 2016 election.